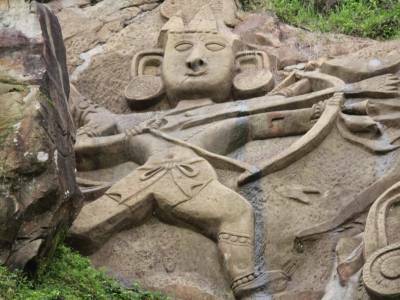 The Unokotiswara Kal Bhairava is a greatest tourist spot in Unakoti district of Tripura and dedicated to Lord Shiva. 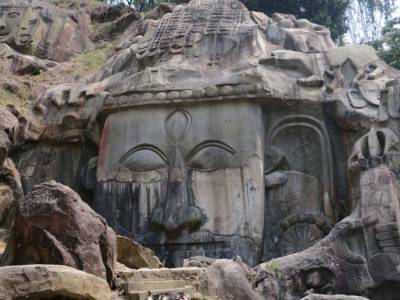 The Rock cut sculpture of Unakoti well designed and carved murals and sculpture of innumerable gods and goddesses of Hindu mythology gives this hilly place a status of both sacred and archaeological importance. The main deity who is depicted her is the destroyer God, Lord Shiva. 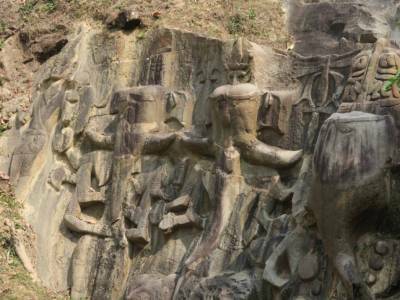 It is said that beautifully carved forest landscape of Unakoti built between 7th to 9th centuries CE is a sight to behold. 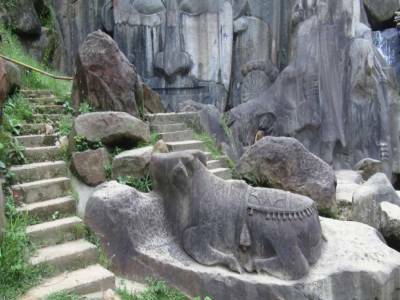 The engravings are of two types - rock cut sculptures and stone statues. Of them, the Unokotiswara Kal Bhairava (Lord Shiva), Lord Ganesha, Lady Parvati and Nandi Bull structure are of special mention. The Unokotiswara Kal Bhairava Structure is about 30 feet height, each side of the head-dress of the central Shiva (who is known as Unokotiswara Kal Bhairava). 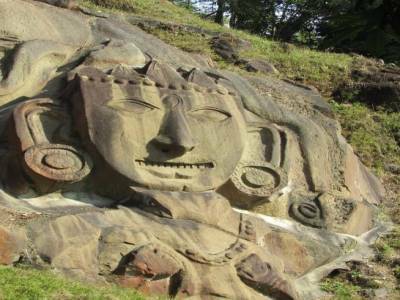 Get quick answers from travelers who visit to Unokotiswara Kal Bhairava.